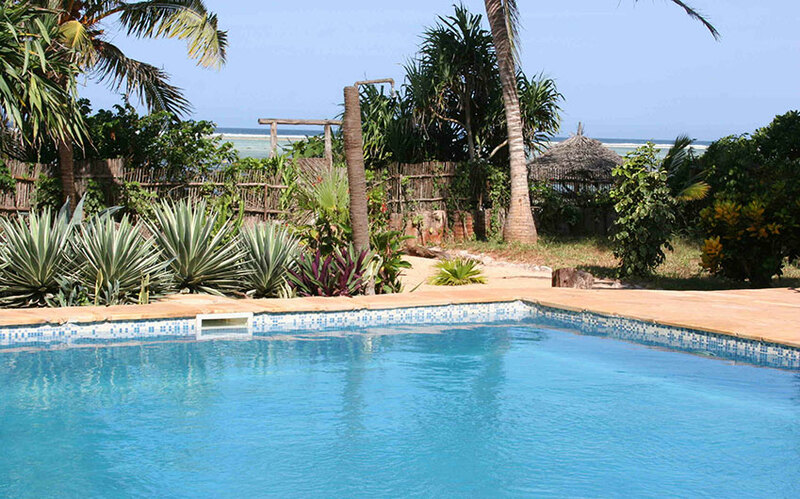 Open: All year long (warm climate whole year). 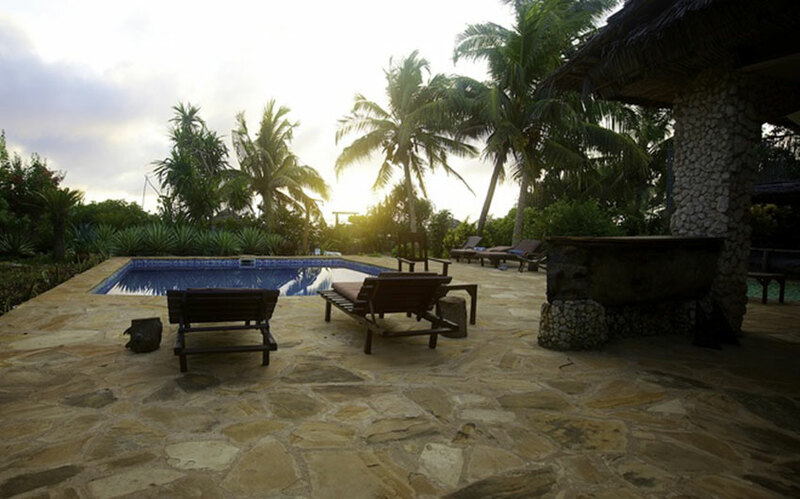 A modernized 4-bedroom villa relishes vast ocean and natural sights. 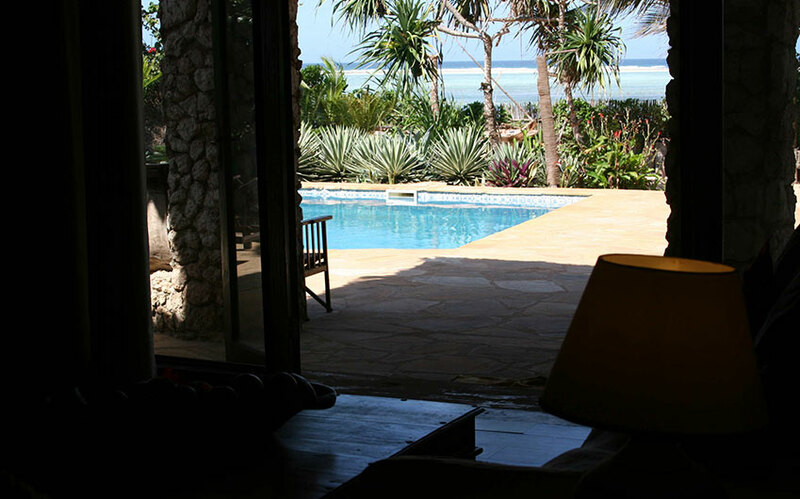 This seafront villa is based on the island of Zanzibar. 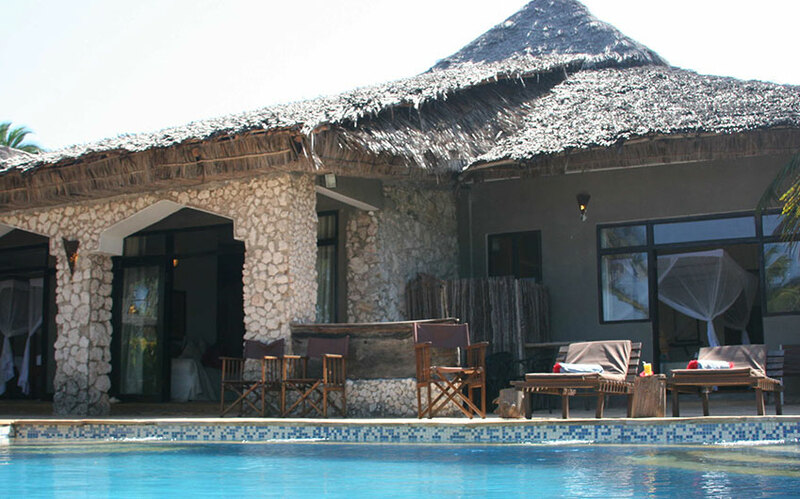 Stepping outside to the private poolside, of the traditionally set Villa Tamani would let you enjoy exquisite natural views beneath the bright blue sky nearby to the white sandy beaches and the colourful world or coral reefs. 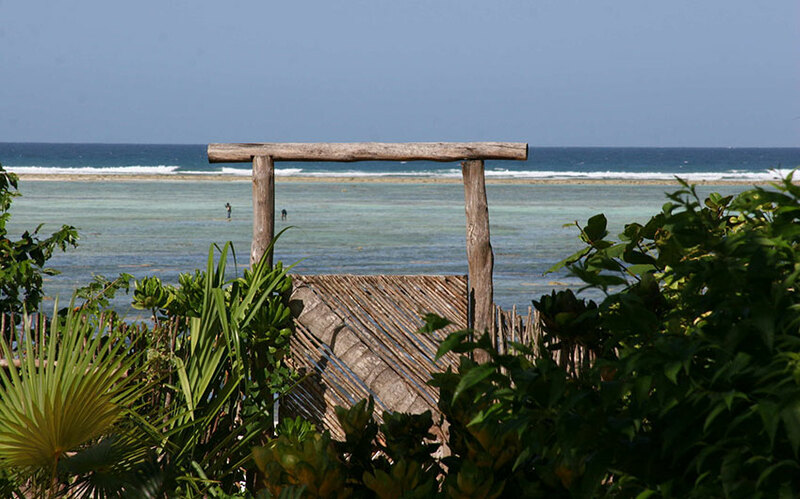 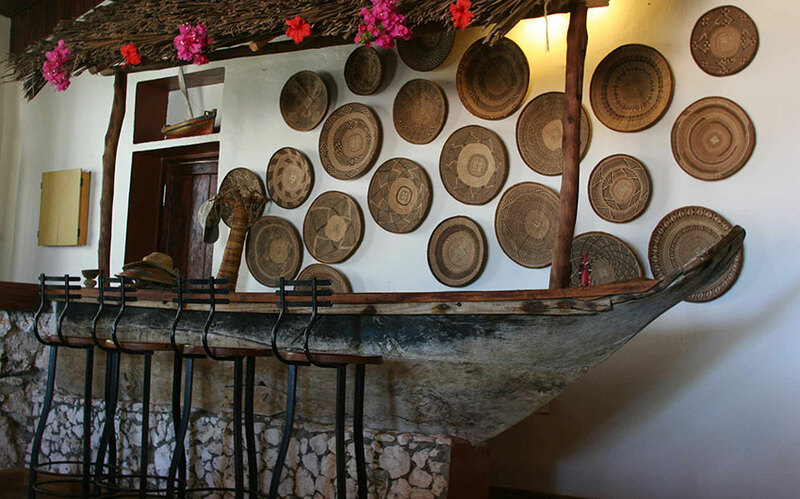 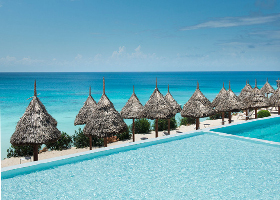 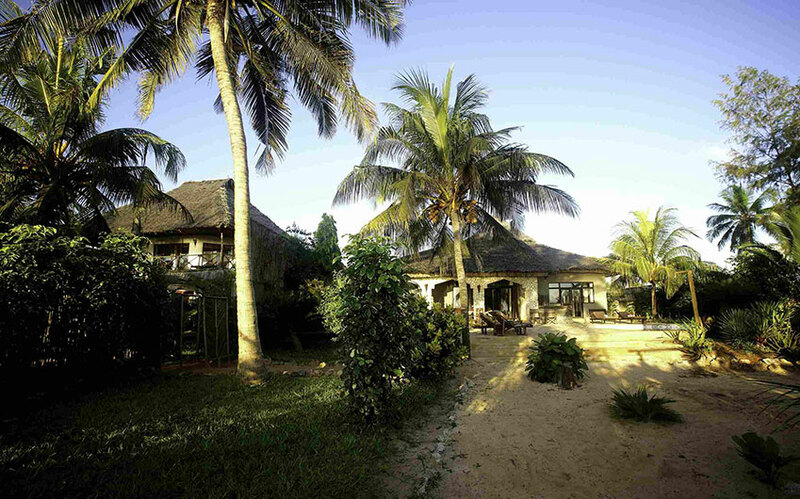 Villa Tamani is located in Matemwe, Zanzibar, Tanzania; which is at a 1 hour 10 minutes distance from the Abeid Amani Karume (ZNZ) Airport. 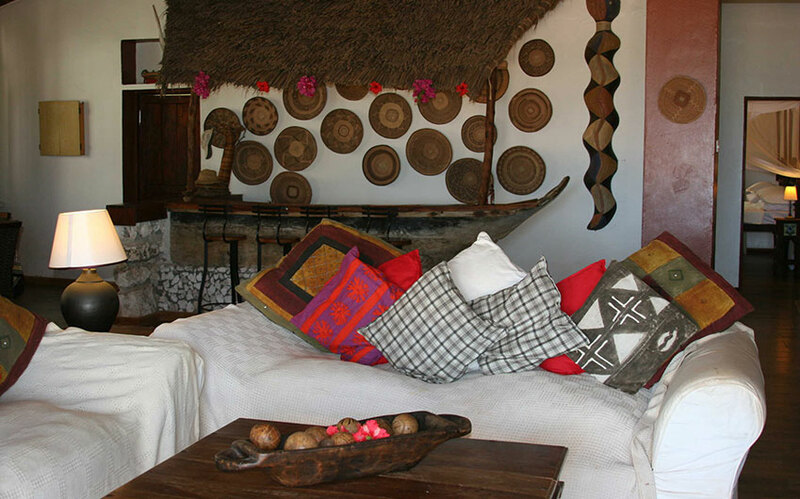 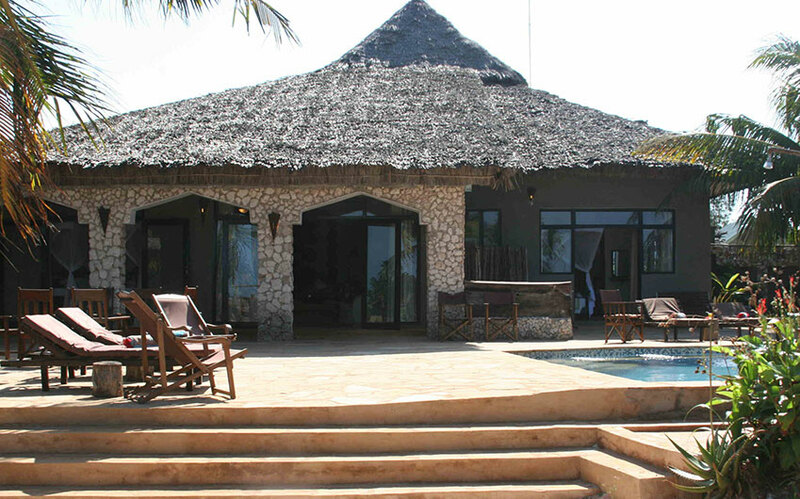 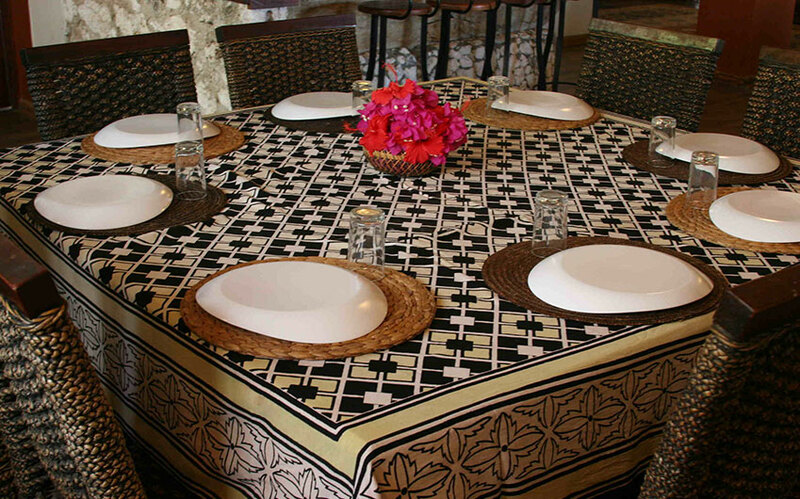 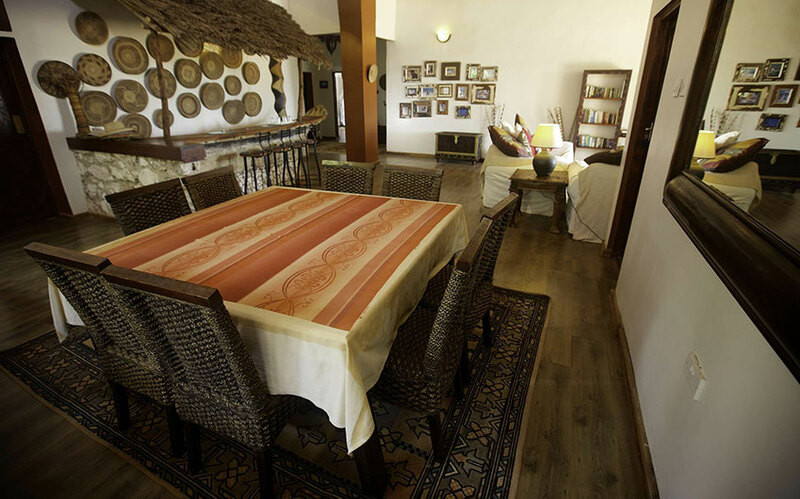 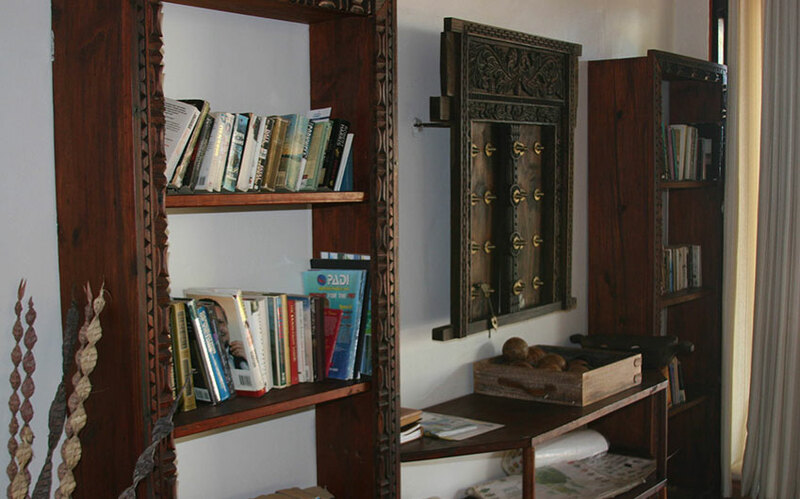 The villa can accommodate up to 11 guests in its 4 bedrooms provided with 4 bathrooms. 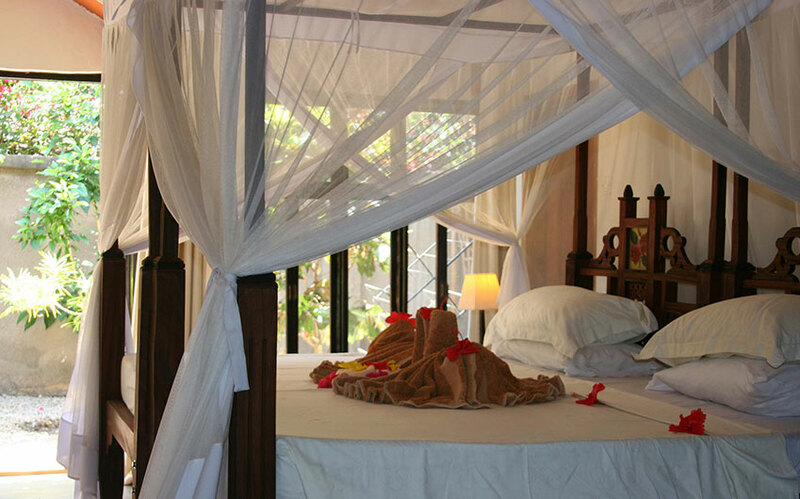 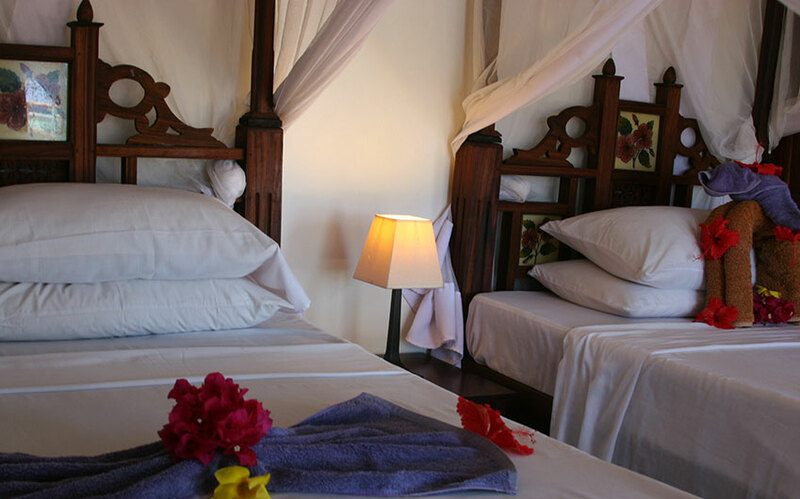 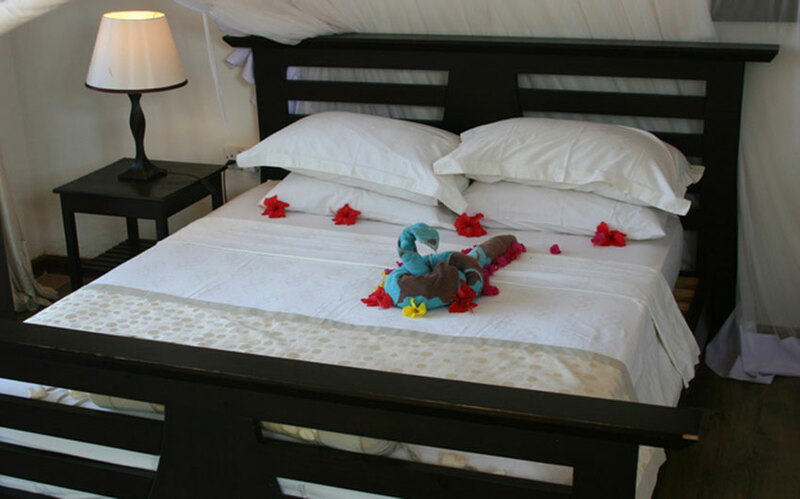 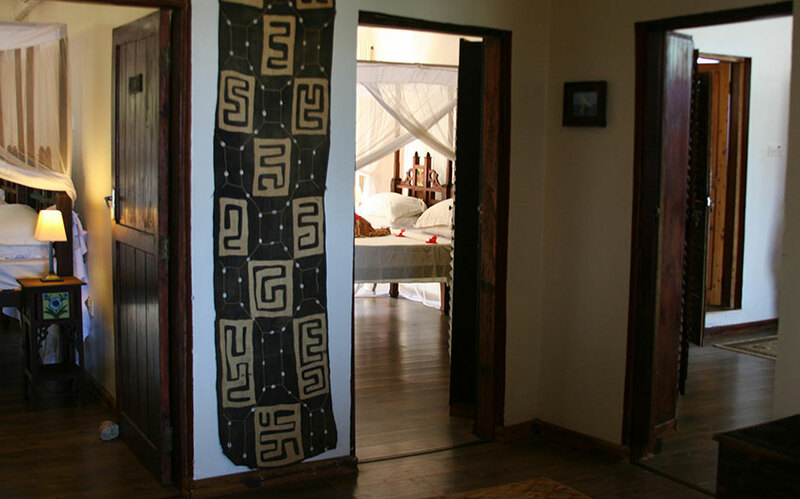 The bedrooms include 2 double beds and 7 single beds; there are also sofas to be used for children as per requirement. 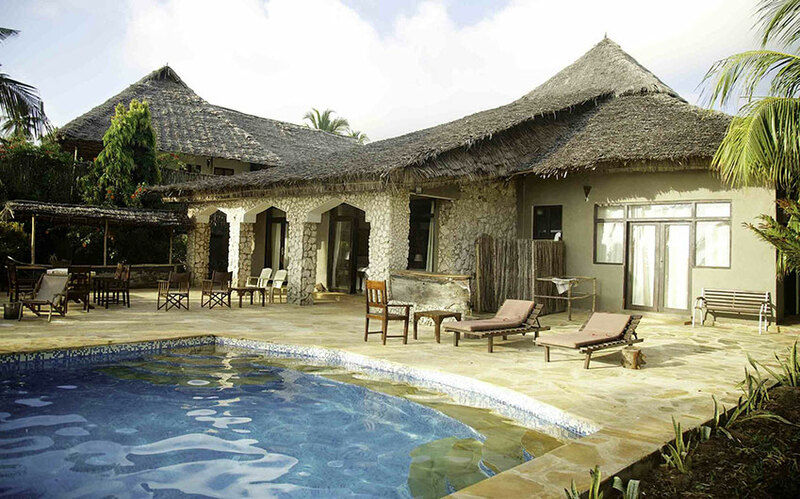 The villa layout also consists of a living room and dining area, a fully equipped kitchen and a garden with its private pool and patio areas built with a high degree of privacy from an outside eye.